In 2000, VINS received Lafayette from the Columbian Park Zoo in Lafayette, IN. He has a partial amputation to his right wing, which severely limits his flight ability. The Bald Eagle enclosure at VINS contains many ramps to help him get around more easily. 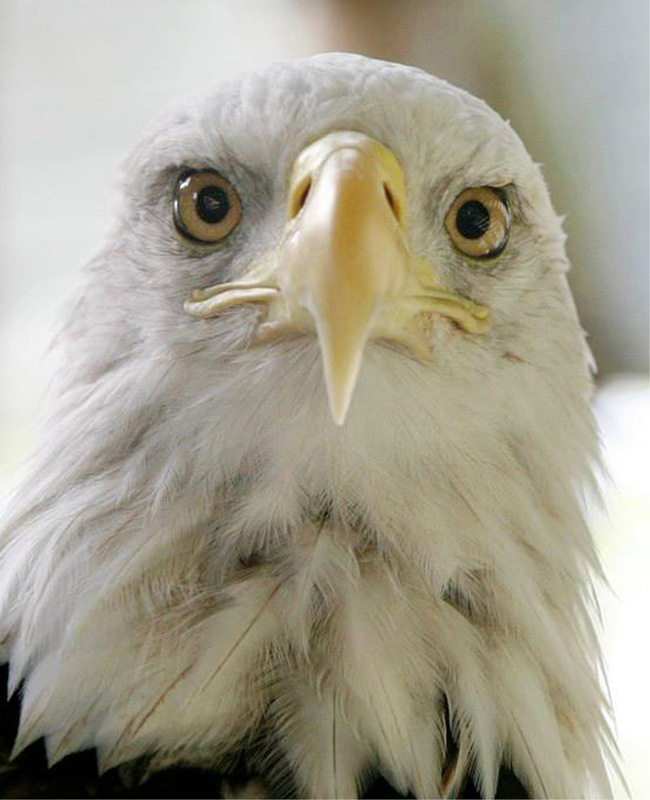 Lafayette and our female bald eagle, Elmwood, are rather talkative birds. Their chittering calls can be heard all over the VINS campus. They are also a great illustration of the size difference between male and female raptors. In general, the females are the larger and stronger birds, and males are smaller. 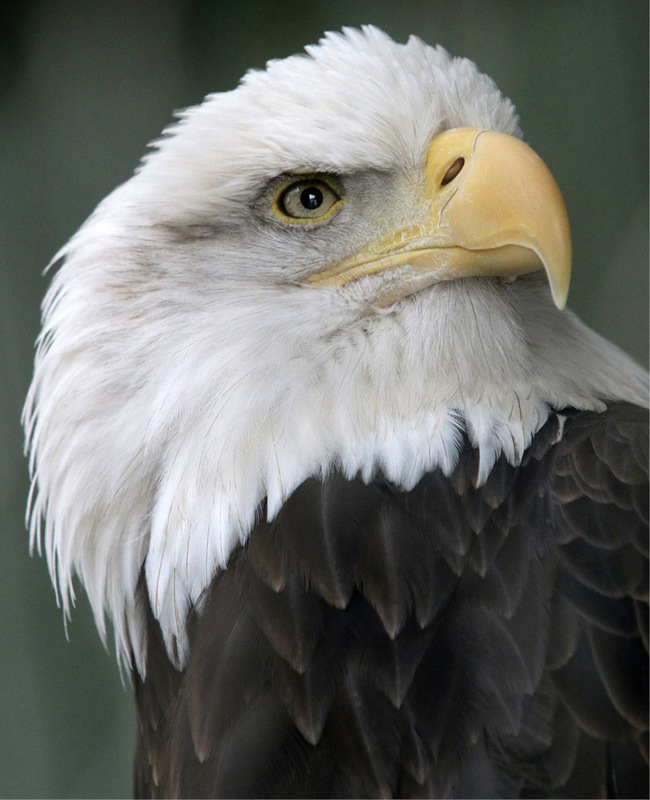 Lafayette is incredibly small even for a male Bald Eagle, weighing one to four pounds less than the average. He is also shyer than Elmwood, and calls with a higher-pitch voice. 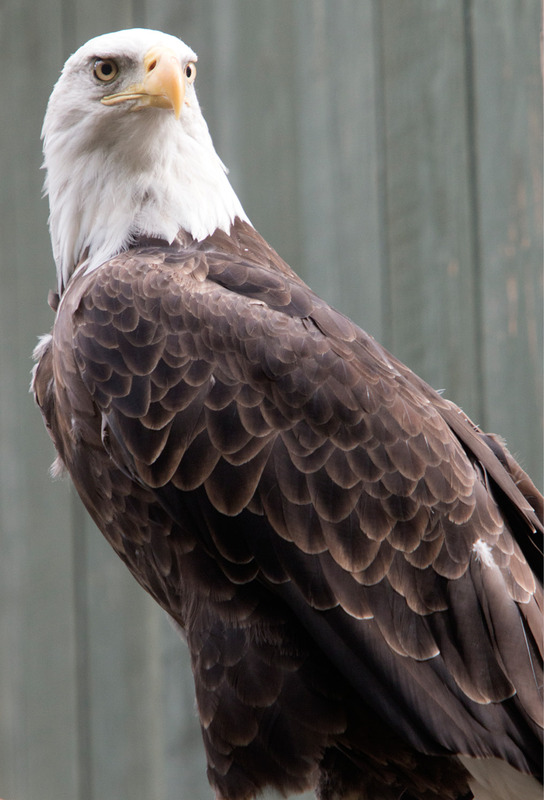 Thank you for helping support the care of our Bald Eagle, Lafayette, through the RISE Adopt a Raptor Program. Together, we can protect our natural heritage through education, research and avian wildlife rehabilitation.